GEM MINT MAYS!!! You want it and we got it. Offered here is a PSA GEM MINT 10 from the 1964 Topps Baseball series. 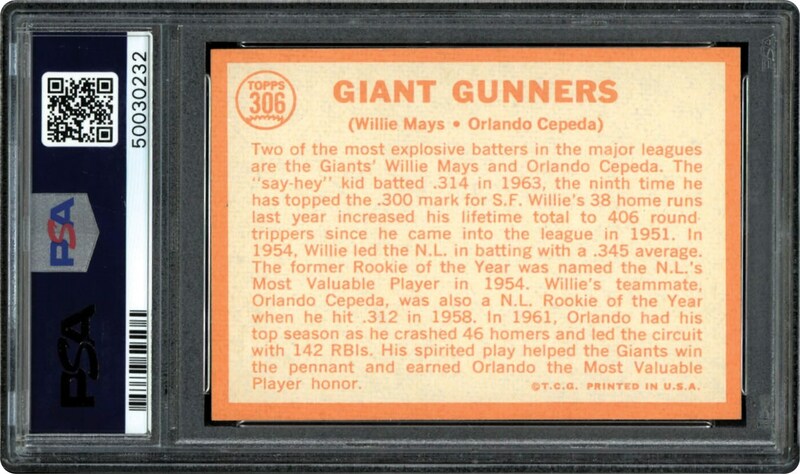 With Mays and Cepeda both on the same card, this one would be a highlight of any collection. Card #306 on the back, this card is GEM MINT. Bid to own this GEM in a low pop PSA 10 holder. 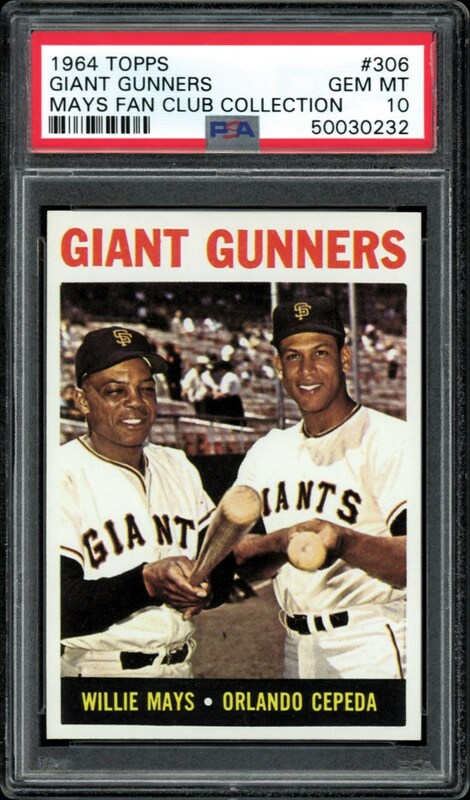 Pack fresh beauty of Mays and Cepeda from 1964.